Builders custom home with upgrades galore, built in 2007. Indoor-outdoor living via wide lanais and tropical splendor. Soaring ceilings, sunlit rooms, chefs kitchen with Viking appliances, accented with beautiful custom cabinetry, marble and hardwood flooring. This tri-level home also features a private in-law apartment with a spacious one bedroom, one bath with kitchenette - ideal for guests or extended family. The main home is a spacious three bedroom, two bath with an island-style motif. Three-car garage is complete with built-in workbenches/cabinets and tons of storage. Super-sized driveway can easily accommodate 6+ cars and there's room for a boat! There is an unfinished backyard pool and spa awaiting your completion. Gorgeous city views from sunlit windows. Needs a little TLC. LOTS OF ROOM FOR ADDITIONAL EXPANSION. MANY FRUIT TREES, CLOSE TO STORES & BUS STOP. TO BE SOLD IN AN "AS IS" CONDITION. NUMBER OF ROOMS IS DIFFERENT FROM THE RECORD. THIS PROPERTY HAS A LOT OF POTENTIAL, LARGE LOT. Wake up every morning to beautifully serene golf course views in this lovingly maintained executive residence in centrally located Royal Pines at Waikele. With direct golf course frontage, this lovely home is just down the street from the Waikele Country Club and Waikele Premium Outlets. Located at the end of a cul-de-sac, youâll save on electricity with your fully owned PV system, solar water heater, solar fan AND your own electric vehicle charging station. Freshly painted with very nice upgrades and finishes and featuring a loft style 4th bedroom that can easily be enclosed, this is the perfect family home for outdoor/indoor entertaining that will give you endless loving memories to look back on. A great home, possible multi-family, presently used as Foster home, 7/2.5, 3/1.5 front with living room and full kitchen, hardwood floors, and 4/1 at the back with living area, ADA bathroom. Number of bedroom doesn't match tax records. Location is key and this home is perfectly set in the community of Royal Kunia! Two story Single Family dwelling offers 3-bedrooms, a loft, and 3-full sized baths. Large interior with a perfect layout with multiple living space areas. The kitchen seamlessly flows into the back of the home to include all energy efficient stainless steel appliances. A full bathroom in on the first level too. Second level provides a nice loft space and a massive master suite. The view of Honolulu, the ocean and Pearl Harbor from this room is GORGEOUS! Property is fully fenced in with no neighbors behind and positioned in a round about driveway. Enjoy the covered lanai for outdoor entertaining or relaxation. Easy access on and off the freeway and close to Wheeler/Schofield bases. Own your piece of paradise!! LARGE SPLIT LEVEL HOME PERFECT FOR LARGE FAMILY OR PERHAPS YOU MIGHT WANT TO RENT OUT THE REST OF THE BEDROOMS. OWNER HAS KEPT UP AS WELL AS ADDED ON TO THIS HOME. ALL OF THE PRESENT TENANTS ARE ON A MONTH-TO-MONTH BASIS. PROPERTY TAX IS FOR 2018. THE 2019 PROPERTY TAX WILL COME OUT IN JULY BASED ON THE NEW ASSESSMENT OF $760,600. Please come to Sunday Open House 04/14/19 3-5pm! Must See, rarely available Renaissance neighborhood! YWCA, Costco. Long driveway with a private backyard. Spacious master bedroom and central AC. Well maintained owner occupant home. Brand NEW solid wood cabinets, vanities, easy to maintain Quartz counter-tops, bathtub, new central AC's, garage door and insulation, and fresh paint. New SS refrigerator, gas stove, washer and dryer. The 2-car garage plus RARE extra big driveway for 4 or more cars. Located in quiet cul-de-sac with GREAT neighbors. Wow!!! A must see. Look and compare. New appliances (full size washer and dryer, dish washer, oven/range), new kitchen cabinets, new kitchen counter tops, interior freshly painted, new upstairs flooring, new Split ACs is all rooms, new plumbing and electrical fixtures in kitchen and baths (brand new tub and shower), security system, own 15 PV panels, LED light in garage. single drive way, fully fenced with a large level back yard (great for pets) , covered patio to enjoy and entertain. Ready to move in. THIS HOUSE IS LOCATED CLOSED TO WAIKELE SHOPPING CENTER AND SCHOOLS. RECENTLY RENOVATED AND MAINTAINED HOME WITH YARD AND LOTS OF OUTSIDE STORAGE. ON A QUIET CUL-DE-SAC. IDEAL HOUSE FOR FAMILY WITH CHILDREN. NEED ASSOCIATION FEE OF $43.00/Mo. OPEN HOUSE - 4/07, 1 - 4 pm. Spacious 4-bedroom, 2-full bath, 1-half bath with 2-car garage & driveway parking. New dishwasher, refrigerator, washer, and front vinyl fence installed 2018. Bamboo & ceramic tile floors, kitchen center island counter, double sinks in master suite, 8 ceiling fans, and 4 AC units. Close to shops & stores, restaurants, golf courses, supermarkets, beaches, resorts areas, and more. Fenced back yard is perfect for sports, exercise, pets, gardening and more. Welcome home! Beautiful single level home with multiple upgrades. 26 owned solar panels: average $18/month electric bill for prior residents. Split AC, home security system, outside cameras, camera doorbell, wood laminate & ceramic tiles floors, stainless steel appliances, cherry wood cabinets, granite counter tops. Enclosed fence & 2 car garage + extra large driveway. Located in cul-de-sac with friendly neighbors & plenty of street parking. Short distance to community parks with beautiful views, basketball/tennis courts, & community center. Short distance to community golf course. Sidewalks throughout the community. Front yard maintained by HOA. Near Walmart and Kunia Shopping center. Easy drive to Schofield Barracks. Easy access to freeway. Awesome home & community to live in; must see! Popular Model 5 in the Gallery. Lots of living space on this beautiful Royal Kunia home consisting of 3 br/2.5 bath with a very huge living and LARGE BONUS family room (upstairs) which can be converted to 2 more bedrooms. New exterior paint all throughout, new carpet, easy to maintain laminate flooring on dining. Comes with 27 FULLY PAID photovoltaic system, 4 split aircon, convection oven, stainless steel appliances, near park, minutes from Walmart and businesses, easy access to freeway. Must see to appreciate. Selling on "AS IS" Condition. 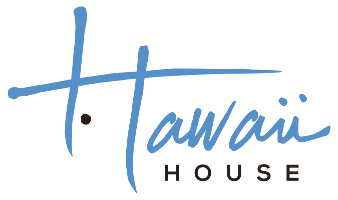 Conveniently located near, schools, bus, Kunia Shopping Center and entry to freeway. Desirable single level home. In good condition and will be sold AS IS. BRAND NEW! 3 bedroom, 2 bath house with large 2 car carport and driveway enough to fit more cars. Beautiful and move in ready. Large, level open lot to make your dream yard. Virtual tour: https://my.matterport.com/show/?m=Ja5wA2J2iv1&mls=1. New price reduction! House has been renovated with newer roof, gutter, granite counter top and kitchen island. Laminated flooring through out the house. Wrap around yard with storage and built in planter. Equipped with water softener, water filtration system and 38-leased Photovoltaic Panels. Limited showing, anytime on Sunday and weekdays/Saturday after 6:00 pm with 48 hours notice. Buyer(s) and/or buyer(s) agent must exercise due diligence. Number of bedrooms and bathrooms doesn't match tax record. Please use pre-signed LPB addendum. Flood Fringe Certification also attached for review. Subject to finding a replacement property but sellers are aggressively looking for replacement property even before the listing date. Call your very hardworking agent now before it's to late. âAS ISâ CONDITION. Property is currently used as a foster home. Please note that TMK does not match public record data. This is a 5 bedroom 3 full bath in the much-sought Village Park area. TMK record was showing 3/2. Close to freeway on ramp and off ramp and shopping centers. Schedule a showing now before it's too late. NEW PRICE REDUCTION for this 3 bedroom/2.5 bathroom DUPLEX in a community called Seaview with NO MAINTENANCE FEES! This home offers a lot of interior square footage, a private yard and a TWO car garage. Like brand new construction, this home has been COMPLETELY RENOVATED and it has it all! NEW roof, flooring, stainless steel appliances, soft close cabinetry, quartz countertops, recessed lighting, split AC units in every living space and the list goes on and on. This home is in a great location; close to the communities of Waipio Gentry and Waikele with quick access to the freeway. Beautiful home that has been recently renovated with love and care. New roof, new appliances, 3 split air conditioners, and more. Home is well kept and located in a safe, quiet cul de sac with nice neighbors. Front yard is maintained by association. Buyer to accept survey done August 2016. Home is in move in condition but selling "As Is". Seller is related to Listor. Best Buy in Royal Kunia.